Sometimes the drama plays out on an international stage, as it did last summer with Cecil the lion in Zimbabwe. Sometimes it plays out locally, as it does every year with predator-hunting contests across North America. Whatever the scale of the spectacle, the actors and scripts are familiar. In one scene, critics denounce hunters for taking the lives of fellow mammals merely for entertainment, prize money, or a head on a wall. They launch petitions against sport hunting, trophy hunting, and killing contests. Some even make death threats. In the next scene, defenders respond. They uphold legal, regulated hunting as a wildlife management tool. They credit hunting with providing economic resources and incentives necessary to conserve populations and prevent poaching. In these verbal volleys, critics and defenders hear little of what the other says. They talk past each other. Critics speak a language of morality, while defenders speak a language of practicality. Some defenders hear an attack on one as an attack on all. As they see it, we are locked in a battle: hunters and supporters versus "antis." With enemies poised to take advantage of breaks in our ranks, we cannot afford to be divided by quibbles over particular practices. Any criticism must be met with a vigorous defense of all legal hunting. This siege mentality is understandable. It is also part of the problem. It polarizes and oversimplifies matters. There are not two sides to hunting debates: pro and anti. People have a wide spectrum of views. Only at the extremes do they approve or disapprove of all hunting, regardless of the purposes involved. This mentality deafens us. Pigeonholing critics as "antis," we hear only their outrage. We fail to hear their values. Most criticisms of hunting are rooted in two core beliefs. First, respect for life: the idea that life is sacred and should only be taken for good reason. And second, animal welfare: the idea that fellow creatures should not suffer unnecessarily. These are not wacky beliefs disseminated by extremists. These beliefs are shared by millions of people around the globe. What's more, they are central to hunting traditions across cultures. Consider the fact that approval for hunting depends on perceived motive. While 85 percent of American adults approve of hunting for meat, only 28 percent approve of hunting for trophies. This is an expression of what I call an ethic of utilization. According to this ethic, animals should only be killed for serious purposes, especially substantial use. Across hunting traditions — in everything from traditional prayers to wanton waste laws — we hear the same idea: Life must be respected. Frivolous or wasteful killing is unacceptable. Consider, too, that when the Cecil story broke, outrage was sparked in part by the news that he was wounded two days before being killed. Such outrage is rooted in an animal-welfare ethic. Across hunting traditions — especially in the ideal of the swift, humane "clean kill" — we hear the same idea: Animals should not suffer. In light of these shared values, hunters have a choice. One option is to fortify the siege. Faced with moral questions, we can keep rolling out technical arguments and financial figures. Faced with recurrent criticisms of particular kinds of hunting — and particular motives, behaviors, and attitudes — we can keep imagining ourselves in a black-and-white battle in which we must defend all legal hunting. "Sometimes we avoid talking about the meaning of hunting because we are convinced that non-hunters will not understand. 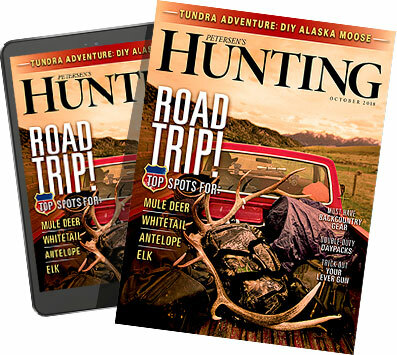 How are they supposed to know what matters to us when hunting media place so much emphasis on massive antlers and depict killing without apparent compassion? How are they supposed to understand our values if legality is the only standard we uphold in public?" If most of us keep playing this role, we may continue to win legal and political battles in the short term. But we will find ourselves entrenched in a cultural silo, increasingly isolated from, and incomprehensible to, the rest of the world. More and more, it will sound as if we want merely to protect and justify our pursuit and have no real ethics concerning animals. The other option is to honor and address shared values. Faced with questions and criticisms, we can listen for the beliefs being voiced. Speaking about hunting, we can — as Shane Mahoney urged at the 2015 North American Deer Summit — "talk about animal welfare" and express "our respect for these wild others more often, and in better ways." If we take this path, we will find ourselves playing new roles, ones not bound to familiar scripts. We will become more adept at understanding, being understood, and building conservation coalitions. We will discover that hunting is not so isolated from the rest of the world after all. The idea of hunters as respectful participants in nature's life-and-death cycles has both a deep history and a promising future, particularly in connection with food. As hunters, we must recognize that widespread expressions of outrage over hunting are not random. They erupt when people perceive hunting as a form of vain, thuggish conquest: one that disrespects animals, has no serious purpose, and serves mainly to gratify hunters' egos. The less concern we demonstrate for animal welfare, the less we are respected. The farther a hunting practice drifts from meaningful utilization of the animal, the more objections are raised and the more difficult it becomes to explain such hunting as demonstrative of respect for life. Consider, for instance, conservationist Jane Goodall's commentary on the killing of Cecil. In condemning it as an expression of "the dark side of human nature," she did not condemn all hunting. Rather, she contrasted "trophy" hunting with hunting that yields food for hunters' families and includes expressions of gratitude and respect. Many people, including plenty of hunters, draw similar distinctions. We must also learn to better communicate what hunting means to us. Those of us who eat wild meat and, in addition, keep and value antlers or taxidermy as evocative symbols must better convey the meaning of the latter. Those of us who enjoy hunting must better convey the meaning of that intensely alive experience. Habitual language is unhelpful here. "Trophy" is widely heard, even by people sympathetic to hunting, as referring to a head taken for self-glorification. "Sport" is widely heard as referring to frivolous enjoyment. Both are widely heard as referring to hunting in which substantial utilization of animals is not intended. Sometimes we avoid talking about the meaning of hunting because we are convinced that non-hunters will not understand. How are they supposed to know what matters to us when hunting media place so much emphasis on massive antlers and depict killing without apparent compassion? How are they supposed to understand our values if legality is the only standard we uphold in public? In 2007, Bill Heavey of Field & Stream deplored the fact that even the most heinous views and acts are met with "a resounding absence of anger or censure" in online hunting forums. Like him, we should all be sickened by grotesque violations of our values. Where the siege mentality tells us we cannot afford to criticize any legal hunting behavior, Heavey reminds us that we cannot afford to be silent when other hunters portray themselves — and, by association, us — as "Neanderthals who are just after the thrill of the kill." The relatively few people who are opposed to all hunting, in any form and purpose, may indeed hope to defeat hunters through division and conquest. They may hope to take down easy targets, setting the stage for wider bans. In seeking broad bans, however, they are not likely to gain traction among the public. Unless, that is, we as hunters fail to speak to that public. Unless we become so distracted by a small antagonistic minority that we forget to communicate effectively with everyone else. Unless we become so fixated on siege defense that we lose touch with common values, painting ourselves into a corner where they cannot be discussed. If we want to ensure a future for hunting in this century and beyond, we cannot afford to merely defend everything that's legal and lucrative. We need to recognize that public support for hunting is conditional and that it hinges on values related to our own. If we respect life, animals, and nature, we need to demonstrate and communicate that. Hunters need not, and will not, articulate a single, unified code of ethics. We will not speak with one voice. But we do need to confront ethical issues. What do you think makes non-hunters more likely to question the value of hunting: moral debates among hunters or our resounding silence on moral matters? In the long run, the risk lies not in discussing values but in failing to do so. The future of hunting does not depend primarily on defeating a handful of committed opponents who loathe all hunting. It depends on demonstrating to everyone else that most hunting is guided by values they share. Tovar Cerulli is a self-proclaimed "vegan-turned-hunter and an environmentalist with a chain saw." Tovar is author of The Mindful Carnivore and is known for his unconventional logic and fresh insights regarding hunting, nature and wildlife.